Read carefully, for not all is as it seems. A son of Joseph will be the Messiah. He will begin by gathering a following in Galilee before journeying to Jerusalem, where he will be killed. A foreigner will then attack Jerusalem, take captives, and leave many to wander in the wilderness. But the Messiah ben David will descend in the clouds to Jerusalem and raise the Messiah ben Joseph, and others, from the dead. There will be a time of peace before Gog will arise against Jerusalem. The LORD will then destroy Gog and Death itself, and the nations will go up to Jerusalem to worship Yahweh. At first, this appears to be a summary of a Gospel, but it quickly goes sideways. This is, in fact, a Jewish apocalyptic midrashim from Rabbi Hai ben Sherira (AD 939-1038) entitled Responsum on the Redemption. Many things are worthy of note in his text, but most prominent are the two Messiahs, one who will reign, and another who will die and rise from the dead. Though unheard of by many, the tradition of a dying and rising Messiah ben Joseph (son of Joseph) has an abundant and long-reaching history in Jewish writings. David C. Mitchell first discovered the fascinating Messiah ben Joseph 25 years ago when researching the reception history of the Psalter (see his significant work The Message of the Psalter). Mitchell spent the following decades collecting the texts and constructing his thoughts. The result is Messiah ben Joseph, the first comprehensive book devoted to him. It is astounding to find in Judaism a dying and rising Messiah who defeats Satan, sin, and death. What’s more, this figure is not simply anachronistically deduced from a few vague statements in damaged texts arising after Christianity. Rather, he is plainly seen in “every genre and period” (p1), even preceding Christianity. And yet, I can safely assume the majority of my readers had never heard of him. The fact is that his existence was little known, due to the privacy of rabbis, the inaccessibility of untranslated ancient documents, and the strong division over his origins. Some believed that he was a Jewish response to Christian Messianic belief after AD70, others that he was inspired by the life of Josephus Flavius or Bar Kokhba, and others that he was simply created to anticipate Messiah ben David. Ancient rabbis, however, believed he was found in the Law and Prophets. This is also Mitchell’s view. To trace the development of the Messiah ben Joseph and prove the thesis that he originates in the OT itself, Mitchell takes an exhaustive approach by examining the many relevant texts in chronological order. Chapter 2 mines the Pentateuch for hints of this individual. Genesis 3:15, the coming Shepherd-Rock in Jacob’s Blessing (Gen 49:24), and the firstborn Shor and Rem imagery in Moses Blessing (Deut 32:13-17) all indicate a coming ruler who will be sacrificed before being raised to glory. Chapter 3 examines the prophets, finding indications that the Suffering Servant of Isa 52:13-53:12 is in fact Josephite, not Davidic (Isa 53:2=Gen 49:22; Isa 53:5=Gen 49:23-24). Other prophets refer to a Josephite king (Mic 4:8; Hab 3; Zech 12:10). Chapter 4 reveals that there is a Josephite core in the Psalms (Ps 60-108) that has many Messiah ben Joseph links (particularly Ps 80; 88-89; 92; 105-106). Moving on from the OT, Chapter 5 examines the Pseudopigrapha, finding Messiah ben Joseph in 1 Enoch and elsewhere. Chapter 6 is devoted to the Dead Sea Scrolls, including a new reading of 4Q372. Unique features of the Targums (Aramaic translations of the Hebrew Bible) are considered in Chapter 7. Chapter 8 looks at the New Testament and Church Fathers. From here, the Babylonian Talmud (Chapter 9), Exegetical and Homiletical Midrashim (Chapter 10), Apocalyptic Midrashim (Chapter 11), then the Rishonim, Zohar and Aharonim (Chapter 12), and their numerous references to the Messiah ben Joseph, are considered. Chapter 13 concludes the book with a synopsis. Mitchell concludes that Messiah ben Joseph springs from the Pentateuch and that “all that follows is but an embellishment on this foundation” (p233). As one can safely deduce, this work is exhaustive. Mitchell brings dozens of texts to bear, most of which are abundantly clear in discussing Messiah ben Joseph. What’s more, Mitchell provides new translations of numerous fascinating Apocalyptic Midrashim. Some texts require some detective work (1 Enoch, for example), which resulted in some of the most interesting pages for me. As one fixated on the Psalms, and inspired by Mitchell’s work on them, his chapter on the Psalms was also particularly illuminating and provocative. In some sections, I found the journey taxing due to its exhaustive nature; however, to convince the scholarly world, such an approach is appropriate. I must admit that I found his chapter on the New Testament and Church Fathers to be surprisingly thin. On one hand, this because, surprisingly, the topic was not explicitly raised by Christian writers. 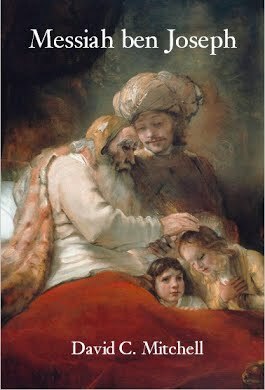 Of course the NT used Messiah ben Joseph texts, but with little awareness or comment on the Joseph-connection and tradition. But why was this? Also, I believe the chapter could have been fleshed out more. Mitchell’s treatment consists of examining some relevant NT verses (John 1:45-49; 4:25; 19:37), and then Joshua typology found in the NT and Fathers. However, what of the larger thematic parallels between Jesus and the Messiah ben Joseph, such as the initial Galilean ministry, ministry to the lost sheep of Israel (Matt 10:6; 15:24 possibly referring to the lost Northern Tribes), journey to Jerusalem, rejection by Jewish leaders, death as a sacrifice fulfilling Levitical requirements, descent to Sheol/the pit, and resurrection-glorification? Given the intended broad audience, some of Mitchell’s readers may be unaware of such striking parallels between the two. In Messiah ben Joseph, Mitchell has released a bombshell, the effects of which I hope will reach far. Mitchell makes it abundantly clear that this otherwise unknown figure is conspicuous and prominent throughout Jewish writings throughout history. How have we overlooked this for so long? Mitchell also convincingly shows that details such as an atoning death and resurrection are included in the tradition. What’s more, it is compellingly argued that Messiah ben Joseph (even his death and subsequent glorification) is to be found in the Tanakh. Though questions remain for me, Jesus ben Joseph clearly fulfilled these expectations. Though unintended to be an apologetic work, Messiah ben Joseph is a reminder that the facts of history are on the side of Jesus. Interested believers will be fascinated and encouraged by Mitchell’s presentation, and unbelievers will no doubt be surprised by the similarities between the Messiah ben Joseph and Christ the son of Joseph. The best books are those that not only provide answers but, also provoke questions, and Mitchell has certainly done this in Messiah ben Joseph! Many thanks to David Mitchell for providing a review copy of his book. I was not required to write a positive review.